Apple Watch pre-orders opened earlier this month with fans hoping to get one on their wrist from day one, but it didn't work out like that for many after delays were announced. 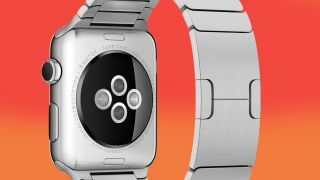 A lot of orders have been delayed until June and a new report in The Wall Street Journal suggests why the wearable has been delayed - it's all down to some faulty Taptic Engines. The Chinese component manufacturer AAC Technologies Holdings Inc supplied the Taptic Engines for the new watch, but many broke down during testing meaning Apple had to switch suppliers at the last minute. The Taptic Engine is a key part of the Apple Watch, as it's the component of the wearable that taps you on the wrist when you receive a notification. It's also the piece of tech that allows you to send your heartbeat through to a friend, or draw them a little pic. Here's our hands-on review of the Apple Watch.